The Doctor is on trial by the Time Lords. The sentence must surely be death. If that is the judgement of this Council then I accept it. But I ask one thing. Can anything be done to undo my actions? To alter time on such a scale is not something that can be done lightly. We shall convene. Remove the prisoner until the execution chamber can be prepared. In his cell, the Doctor reflects on recent events until his receives a visitor. A last meal for the condemned man? I congratulate you Doctor. The annihilation of every sentient race in the universe is a feat even I have been unable to complete. Believe me, it’s nothing to be envious about. I take it you’ve booked a ring side seat at my execution. As always Doctor, you misunderstand my intentions. The Time Lords have such sterile ways of inflicting death. There will be no pain, no suffering. Your life will be over in a single heartsbeat. No. There would be far more pleasure in delaying your fate. To give you your freedom. Make you a renegade, a criminal, an outcast. My TARDIS has been impounded. Mine is down the hall. Good. But there’s something I want first. The Doctor and the Master are watching this on a screen- records held on Gallifrey. The Murkon leader enters the Peace Engine and then we see empty streets. So the peace engine was originally designed to wipe out the race that enters it. Something must have changed. I don’t wish to alarm you Doctor but according to this data, the Juditia were wiped out when they were forced into the Peace Engine themselves. By you. The Master proposes that by undoing the death of the Juditia, they could alter time enough to save the rest of the universe. The Doctor is sceptical but the pair undertake a dangerous escape from Gallifrey to reach the planet of the Juditia where they are promptly captured. The Juditia are in the middle of condemning another race and with that over, they turn their attention to their captives- the Doctor and the Master decreeing that Gallifrey must be judged. Something the Master welcomes. 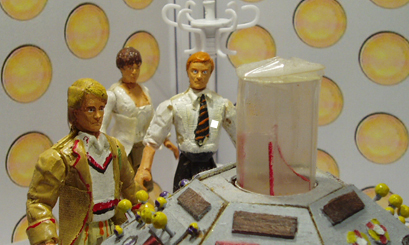 The Doctor tries to persuade them to drop their ways but they are unrelenting. So he reluctantly decides that he must destroy them, by using their own peace engine against them. But inside he finds the power source is something to do with the Black Guardian. The Guardians intervene but the Black claims a victory. By choosing to destroy the Juditia, the Doctor has been broken. However, the Guardians cannot be seen to be involved and their intervention has to be undone, meaning the Doctor will lose all knowledge of what has occurred. Reluctantly, the Black Guardian resets time to just before the Peace Engine incident. All other life forms are restored. Since the script was never finished, I've no idea what other figures I would have used. 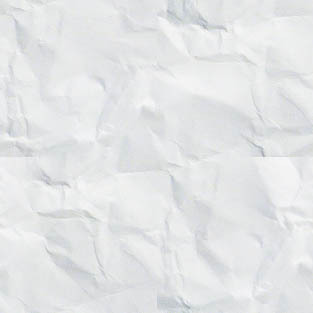 This story was at such early stages, as you can tell by what little there is. I hadn't even come up with a design for the Juditia themselves. Having a universe of nothing but Time Lords presented a chance to pair up the Doctor and the Master. I would obviously have added a sub plot of the self serving Master trying to turn the situation to his own gain. It did have a number of possible titles though- THE DEATH MONGERS, THE LIFE STEALERS, JUSTYS and JUST CAUSE. Back in the TARDIS, all is well again. 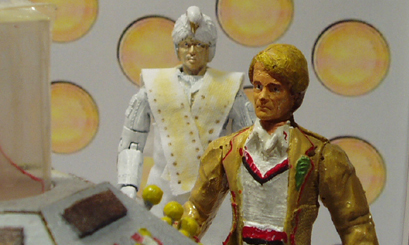 Even though no script had been finished, I surmised that there would be a final scene between the Doctor and the White Guardian and during the filming of The Peace Engine, I snuck in a few frames with those two figures. Not finished? This story was barely started due to its predecessor The Peace Engine being abandoned. Much of part one would have been set on Gallifrey. The Time Lord Eldrex appears in The Infinity Program.